15 SWAZ showerproof jackets. A bundle usually worth over £374, now available for just £250 for 1 week only! 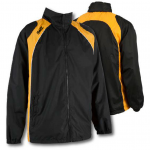 This bundle offers you the opportunity to stay dry during the winter season for a bargain price. 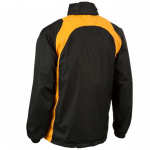 The SWAZ showerproof jackets are fully customisable and can include any club crest, number and initials. Available in a selection of colours to match your club’s identity, this is an offer that can’t be missed. Limited time only so don’t miss out! 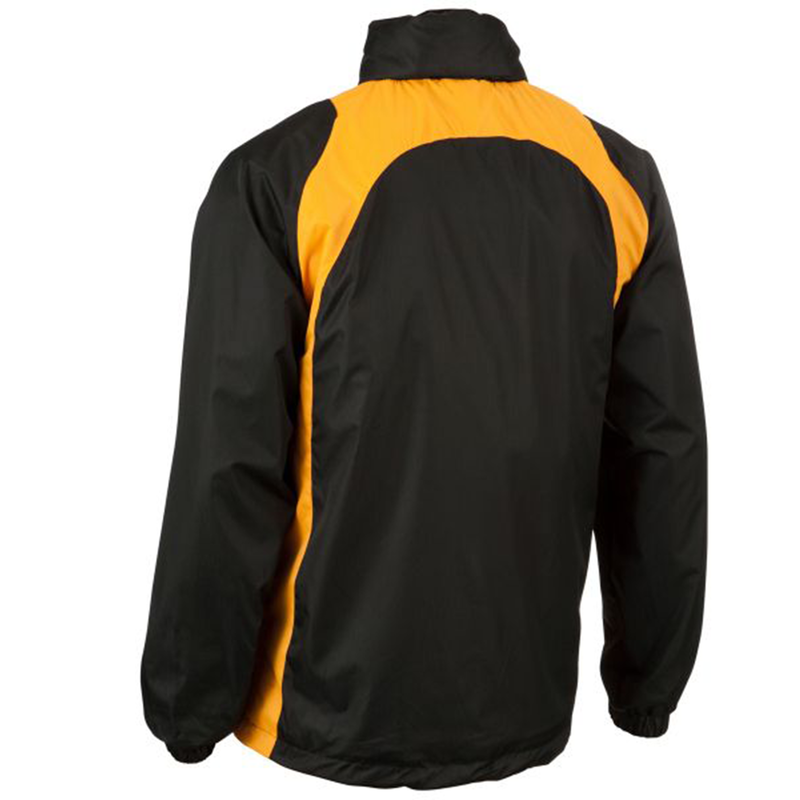 The SWAZ Showerproof jacket is a lightweight, multi-purpose showerproof jacket. It has been designed to benefit sporting performance allowing a wide range of movement to compliment flexibility and agility. 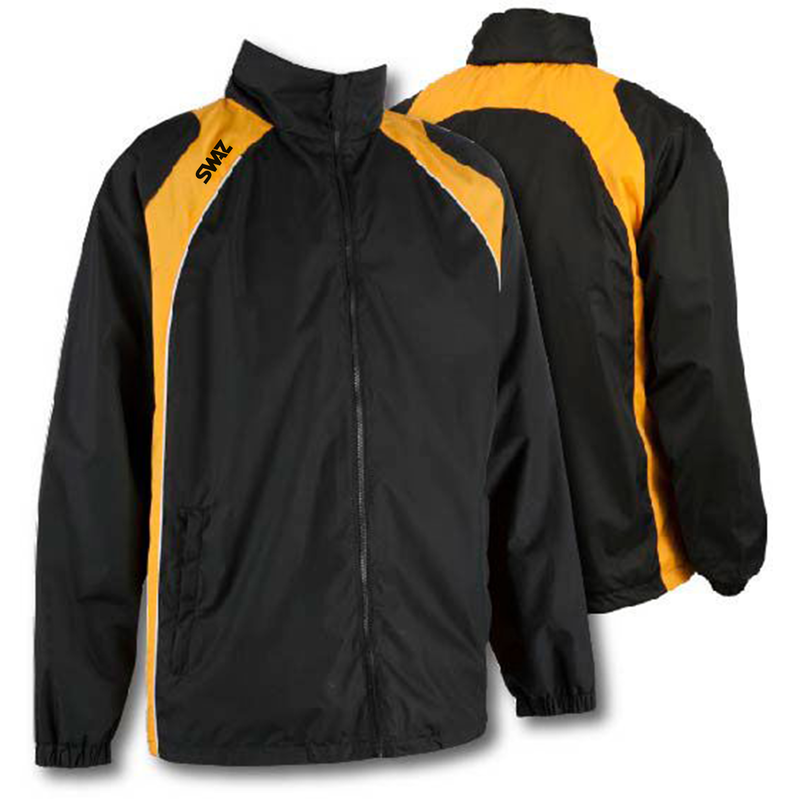 The SWAZ Showerproof jacket has been made using durable water repellent fabric. 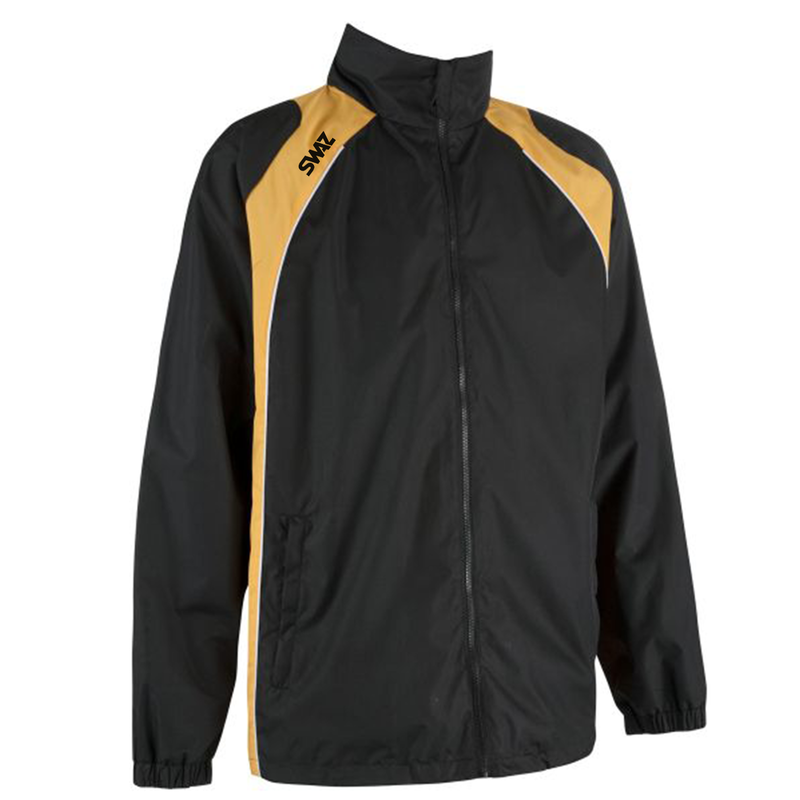 It also has a mesh lining to maintain heat and dryness. 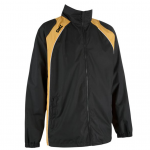 For your comfort and convienience it is fitted with a chin guard, inside pocket and a cleverly concealed hood. Ideally this should be paired with the SWAZ Skinny Pant and SWAZ 1/4 Zip Midlayer top. 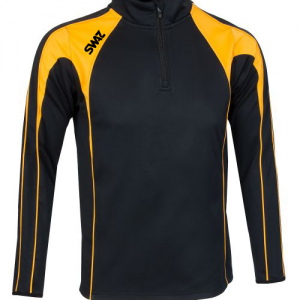 This can be worn during training, warm ups and on a mach day. 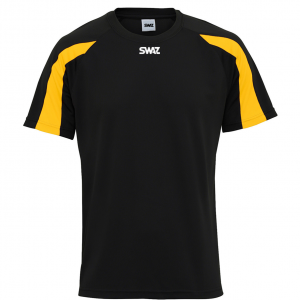 SWAZ Branding is subtle on the right shoulder.